gm-design understands that your privacy is important to you and that you care about how your personal data is used. We respect and value the privacy of everyone who visits this website, gm-design.co.uk (“Our Site”) and will only collect and use personal data in ways that are described here, and in a way that is consistent with our obligations and your rights under the law. “Cookie Law” – means the relevant parts of the Privacy and Electronic Communications (EC Directive) Regulations 2003. Our Site is owned and operated by gm-design LTD, a limited company registered in England under company number 6526014.
d) Analysing your anonymous use of Our Site to enable Us to continually improve Our Site and your user experience. Your data may be accessible by companies in Our trusted group of service providers for IT support and website development. This includes Bluegrass CSC IT services and Hambly Freeman. We may sometimes contract with third parties to supply services to you on Our behalf. These may include IT support, payment processing and delivery of goods. In some cases, the third parties may require access to some or all of your data. If any of your personal data is required by a third party, as described above, We will take steps to ensure that your personal data is handled safely, securely, and in accordance with your rights, Our obligations, and the third party’s obligations under the law, as described above in Part 9. In addition to your rights under the GDPR, set out in Part 5, when you submit personal data via Our Site, you may be given options to restrict Our use of your personal data. In particular, We aim to give you strong controls on Our use of your data for direct marketing purposes (including the ability to opt-out of receiving emails from Us, that you have originally opted-in to, which you may do by unsubscribing using the links provided in Our emails). You may access all areas of Our Site without providing Personal Data through the Contact Form. 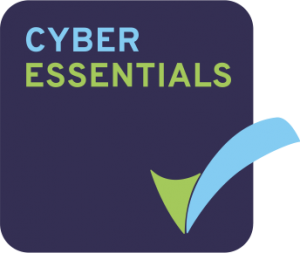 Awarded by Securious Data and Cyber Security, this certification means that gm-design have complied with the requirements of the Cyber Essentials Scheme, helping to guard our company against the most common cyber threats and demonstrate our commitment to cyber security and data privacy.